THESE are trying times for Knocklyon United but there’s good news on the horizon for the club as they’ve managed to attract Mick Kennedy back to the club as director of football. The club face continued uncertainty over their pitches in Ballycullen, with the local council planning to build housing on the land, but the club are continuing to move forward off the pitch. 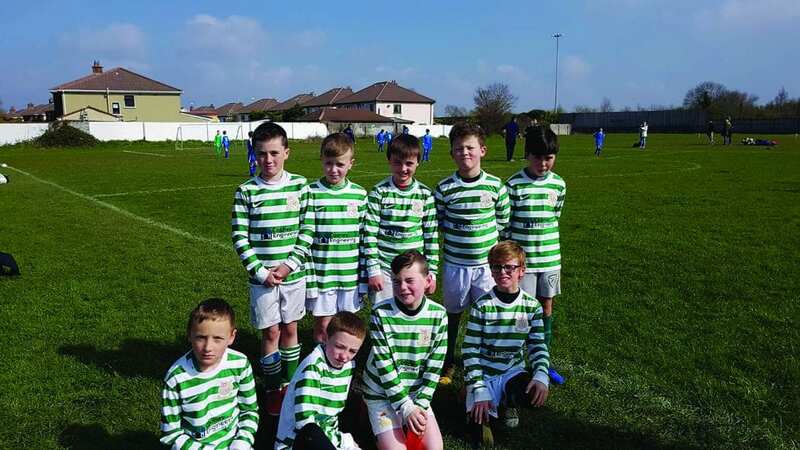 Kennedy has spent the past seven years with the Dublin District Schoolboy League, first as fixtures co-ordinator and then as vice-president and head of the emerging talent program. The Churchtown native spent 15 years as PRO and board member with Knocklyon before leaving to work with the Special Olympics and then taking up the role with the DDSL. After stepping down from his position with the DDSL last year, Kennedy has opted to return to the club along with longtime colleague Peter Fullerton. Together, they will work with all of the club’s coaches from under-8s to senior level in order to design a coherent strategy for the club from top to bottom. In his first stint at the club, Kennedy organised a pioneering event that saw local kids with intellectual disabilities play alongside able players from the area. “I stepped down in November and I planned to take a break for four or five months and maybe do something with the FAI or the SFAI,” Kennedy tells the Dublin Gazette. “One of the things I did 25 years ago was set up a special needs World Cup where we had 120 Down syndrome kids and 50 kids from Knocklyon United and 50 from Ballyboden. “We ran a seven-a-side tournament where we had three Down syndrome kids on a team with four abled kids from Knocklyon and the only kids who could score were the Down syndrome kids. “It was a fantastic success and the ironic thing was that it was never done since. That’s one thing I’d definitely go back to. “I spoke to Gerry Reid in the FAI and John Lahart in Fianna Fáil, who was very good to us going back years, and said this is what I was going to do. “I met up with Special Olympics in Knocklyon and said this is how we’ll start. So I went in and met Donal, the chairman, and he was hugely enthusiastic. “What came out of that was that the abled kids in Knocklyon got much more out of it than the down syndrome kids. That was the idea of coming back in. He continues: “The most important thing of all, from a Knocklyon United point of view, is that players come first full stop. “We’re known as a community club – there’s no reason why we can’t have a team in the top division and be a club at the same time. “The target is to attract all types of players, both male and female, at the top level as well as community players. Gazette Group Newspapers (GGN), now Dublin Gazette (DG) was co-founded in January, 2004, by Michael McGovern, a veteran of Saatchi and Saatchi, with the mission of launching quality weekly newspaper titles in the Greater Dublin Area. DG believes that Greater Dublin is the most prized newspaper territory in the country, possessing the most rewarding demographics, the greatest spending power and the most spectacular levels of population growth.